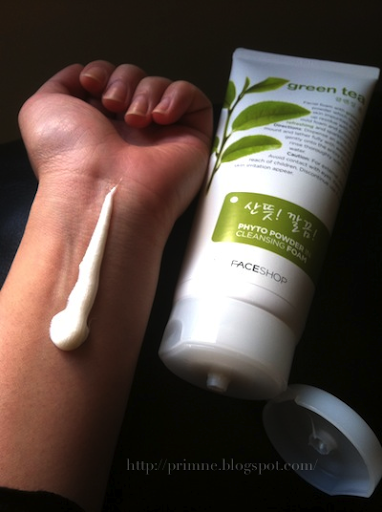 Unless you live in an area with a large Korean population, The Face Shop products are a little hard to find. 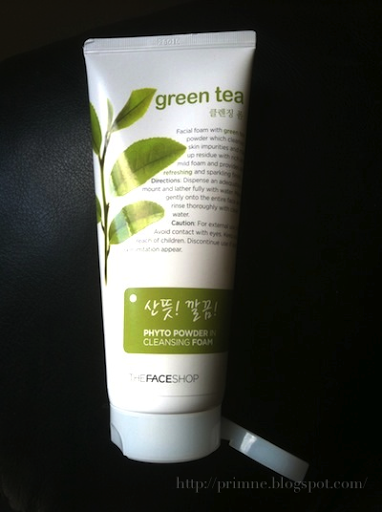 I personally found Green Tea Phyto Powder Foam Cleanser in Koreatown while in Manhattan. Sorry peeps! Otherwise, if I ever find an online link for it, I'll edit this post. 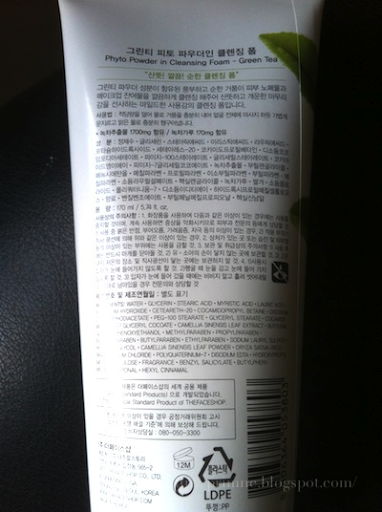 Anyhow, this The Face Shop's Green Tea Foam Cleanser claims to "effective cleansing effects, balances the skins level of moisture and oil, green tea extract and plant powder keeps the skin healthy while barbary wolfberry fruit, rooibos, conelian cherry extract protects the skin from dryness." 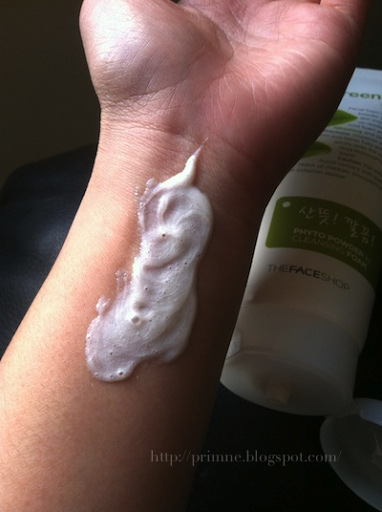 I've seen many different people with many different image variations of this facial cleanser. This particular packaging is very attractive. It looks very earthy, almost organic (which it is not, in case you were wondering). It also has a good feel to it- it's not plastic-y like most American products, but it's almost "soft." Hmm. It's hard to explain. Moving on, the cap is very flimsy. I have this in the shower and it dropped just ONCE and the cap no longer clicks. 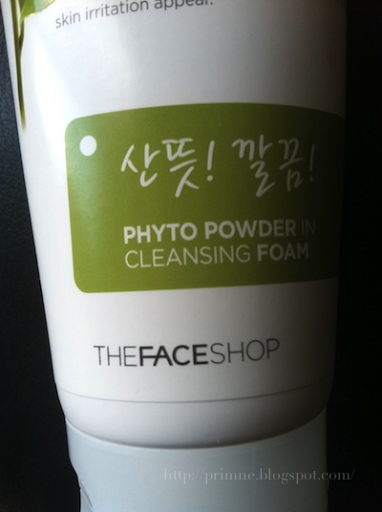 This facial cleanser is actually very pretty. It comes out almost gel-like from its spout and happens to be quite shimmery (but there's no glitter) and an attractive pearl color. It also has a very nice scent to it- it's quite refreshing! 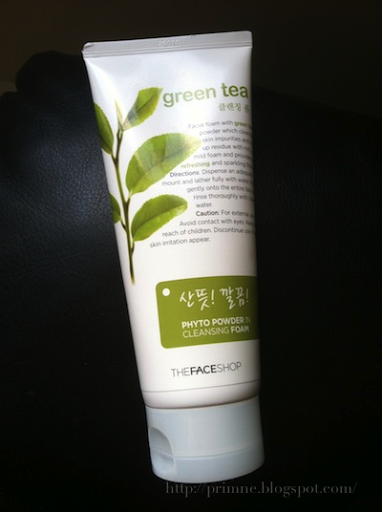 I bought this particular facial cleanser because green tea is supposed counteract redness. Well, Cristhian's cheeks are still very flushed! So I'm not sure if it's decent in that aspect. But I will admit that it gives a squeaky clean feeling. When I use a toner after using this product, my cotton ball has no traces of gunk or makeup residue. Win! I must warn you though. 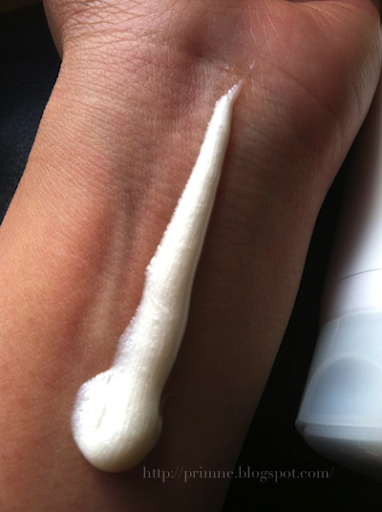 If you have acne issues, you STILL need to use acne medication. 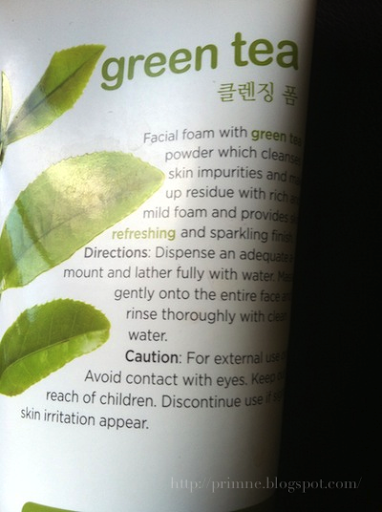 This facial cleanser will only clean your face. 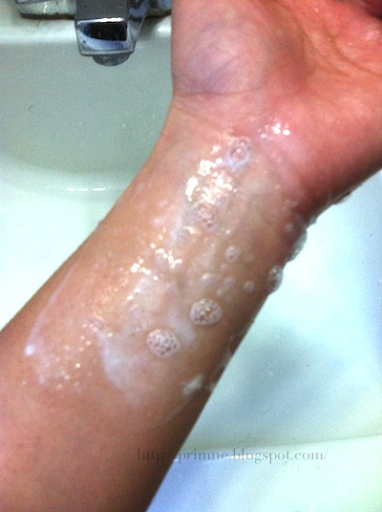 It will not prevent acne! Would I repurchase this? No.